I didn’t really think much about that conversation until 4 other people asked me if I’d been tested for Lyme Disease. I probably wouldn’t have thought much about it had it not kept coming up. The CDC, who is thought by many in the Lyme community to offer a very conservative estimate, reports “…the number of people diagnosed with Lyme Disease each year in the United States is around 300,000.“1 Some lyme experts estimate that there are closer to 3,000,000 new cases of Lyme in the United States each year. Either way…that’s a LOT of people infected with Lyme Disease. Dr. Horwitz, a leading Lyme Disease researcher and practitioner claims that Lyme is becoming epidemic. 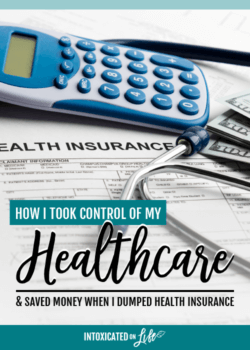 I had gone to several different doctors and specialists about my adrenal failure, seen a physical therapist and a chiropractor for the various pains in my body, and worked with a health coach for 6 months to adjust my already-healthy diet—all to no avail. Nothing was working. After five people told me I might want to check for Lyme disease, I finally decided it was time to look into it (you can read more about that in my post: Chronic Fatigue is Bogus). Month after month I felt my health deteriorating. It was at least worth checking out. Maybe it was a wild goose chase, but at least I could say I had indeed considered Lyme when my friends asked me about it. My mind was blown. Everything I thought I knew about lyme disease was, well, all wrong. Oh so completely wrong. 2. “I haven’t been bitten by tick.” How do you know? Did you know many ticks that carry Lyme are the size of a poppyseed. A poppyseed! I don’t know about you, but even with my 20/20 vision and superior powers of observation, I could easily miss a tick that size attached the the back of my leg or under my arm, or pretty much anywhere but on my face. 3. “You have to be bitten by a tick to be infected with Lyme.” New research is showing other insects, like mosquitos, lice, and fleas may also carry Lyme Disease.4 Holy biting bugs, Batman! No wonder the cases of Lyme are exploding. Mosquitos love me. I’ve been bitten by thousands of those nasty little critters. Also, research is indicating Lyme may also be transmitted from mother to baby in utero, it may be sexually transmitted, and transmitted via blood transfusion and organ transplants. 4. “I never saw a bullseye rash.” The rash that people typically associate with Lyme Disease is present in less than 50% of people.3 Some sources state it occurs in only 10% of those with Lyme. 5. “Lyme is a short-term and easily curable disease.” This might be the case for those who figure it out right away—those who see the tick and/or the bullseye rash and get treatment immediately. 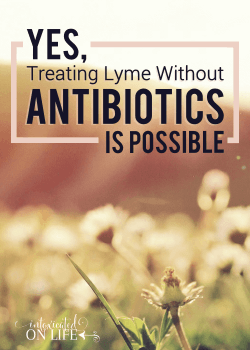 A simple round of antibiotics may indeed cure a person of Lyme Disease quickly. But unfortunately, for the majority of people who have had Lyme disease for months, years, or decades, it’s an incredibly difficult and complex disease to treat. Some days I can hardly function and other days I feel moderately healthy. Apparently this is perfectly normal when it comes to Lyme Disease. On my good days I can homeschool my kids and get a load or two of laundry done. The symptoms don’t go away completely on the good days, but they decrease to the point that I can get normal everyday stuff done. On the bad days… On those days I don’t want to get out of bed. I hold the house down from the couch. I struggle to stay awake and just survive the day. This is a partial list of my symptoms, the symptoms I find the most bothersome. But it’s not all of the symptoms that I experience and not all the symptoms Lyme can cause. Lyme can attack any system of the body: cardiovascular, lymphatic, nervous, endocrine, etc. The symptoms can vary from person to person because the Lyme can attack different parts of the body in different people. Lyme Disease does not follow the same course with individuals. If you think there is even a slight chance that you have Lyme, I’d encourage you to use the Lyme Disease Symptom Check List from Dr. Horowitz. This is a great place to start. Lyme Disease is often coined, “The Great Imitator.” This is because it is estimated Lyme can imitate symptoms of up to 350 other diseases and syndromes. Fibromyalgia, chronic fatigue, Multiple Sclerosis, Alzheimer’s, or rheumatoid arthritis, ALS, Parkinson’s are just a few of the more well-known diseases that Lyme often imitates. With MS, 95% of the patients that come to me who have failed MS drug therapy have tested positive for Lyme. Quite frankly, if I was diagnosed with one of these other diseases, I’d be sure to consult with a Lyme Literate Medical Doctor in order to rule out Lyme Disease. Having a correct diagnosis is a huge hurdle to overcome for correct treatment and restoring your health. When the new doctor I was seeing decided to test for Lyme my feelings vacillated between hopefulness, uncertainty, and complete dread. – Hopefulness, because I was so ready for a diagnosis. After working with so many health professionals, I just wanted an answer. I wanted to know I wasn’t going crazy. – Uncertainty, because the possibility of Lyme was so new to me. I wasn’t sure that this was really what was going on. – Dread, because Lyme isn’t easy to treat. In my limited research, I knew people often were treated for Lyme for months and even years and still had not gone into remission. But still, knowing is better than not knowing. At least when you know what is going on, you can have a game plan. If you made it this far, you can probably guess that my doctor was able to make a definitive diagnosis of Lyme disease. In fact, the test that he used showed up positive for not just one strain of Lyme, but three strains as well as two co-infections. Thank you God for divinely placing people in my life to point me in a direction I never would have thought to on my own! What can you expect from IntoxicatedOnLife.com? Is this going to become a Lyme blog? Nope, but Luke and I have written about the things on our hearts and minds since the inception of this blog, and that won’t stop. Now that I’m dealing with Lyme disease I do plan to write about it from time to time. I hope to educate you as I learn more. I hope to bring more awareness to our little community here. You might read some topical posts on Lyme interwoven with updates on my health and treatment. 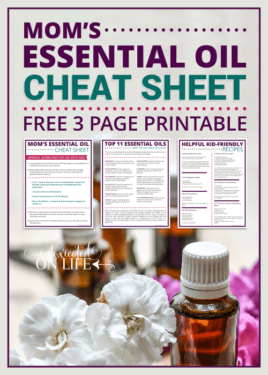 If you know someone dealing with chronic health issues, I hope you’ll share this post with them. Who knows, it may be just what they need to encourage them to look for answers in a place they never considered. Thank you for this post. I will have to admit that initially I was upset with the title and the first part of this post, but kept reading. Then you say that chronic fatigue is the underlying cause of some other illness. I agree 100% with that. My son also has chronic lyme, it is a fight everyday. I’m glad you kept reading! I’m learning more and more about lyme all the time. Though, it’s a difficult diagnosis, I’m so happy to finally know what is really going on and not be wondering if I’m losing my mind. I’m sorry to hear about your son, I can’t imagine how difficult it is to watch your child in pain. Thank you for sharing your story. I too am a homeschooling mom, with the diagnosis of chronic lyme disease. It has been a life changing diagnosis. My husband and three of my children have also been affected by lyme disease. My prayers go out to you and your family. May you find success in your treatment and with balancing the need to rest with the demands of daily life. I know how hard it is to find that balance. Thank you so much for the comment and the prayers. It must be terribly difficult to have a husband and 3 sick children as well. I can’t imagine that! My husband does so much to help keep things afloat around here, I don’t know how we would keep it together if we were also sick. Prayers for you and your family! Thanks for all your hard work! I wasn’t sure if you ever heard of a parasite cleanse but many many people have them. They can cause many of the symptoms you describe. I currently am on one and feel a lot better. I Have done some research and I think it’s worth a shot! Thanks for your comment Koreen. Yes, I’ve read about a number of parasite cleanses. Part of my protocol includes a cleanse/detox. I’ve not felt any ease in symptoms from it, but I know it’s an important part of the process. I to had a Lyme diagnosis (after years of misdiagnoses). Early on, it was just various doctors sending me home saying, “NOthing wrong!”…even though my heart would go into hi-speed, my memory–gone (at 42 yrs of age I was told I was getting old),I ached all over and had no energy. Then, in ’07, things got really bad after helping our son for a month straight with a house reno. I woke up numb. Got diagnoses of MS, Lupus, Guilliian Barre, and told to see a psychiatrist. I’ve learned a lot in the last 8 years — would love to share if you’d be interested. Thanks for the note. Yes, I’ve spoken and emailed with a number of people about Lyme over the past few months. It’s been very enlightening. I’m finding, because there is a not a huge body of research on what works, that this is a great way to learn about work may work. So yes, I’d love to hear more from you! Please feel free to email me trisha [at] intoxicatedonlife [dot] com. I have been diagnosed for 11 years as Fibromyalgia/chronic fatigue underlying. I have not been bit by a tick, I was over tasked when the symptoms started 17 years ago. Was told “floating thyroid condition”, back in early days. I am extreme type A personality and would not accept anything, until it drug me way down. I fought it and finally started taking medications from rheumatologist. Helped, for awhile, now worse things. Tripped on a step and had knee surgery from incompetent surgeon who left my lower back that was strained, in very bad shape. So, I am very curious to the “cure” you have. What has resolved, how fast and what medications or diet changes took place. I’m so sorry to hear that you’ve been so bad off. I can’t say that I’m “cured” as I’ve only recently begun treatment. My diagnosis is lyme disease and co-infections. These bacteria and parasites take quite some time to eradicate from your system (some say that it’s nearly impossible to eradicate them completely, but you can go into remission). Anyhow, my protocol is quite involved. I am planning a post and likely a video to go over a number of things I’m doing. 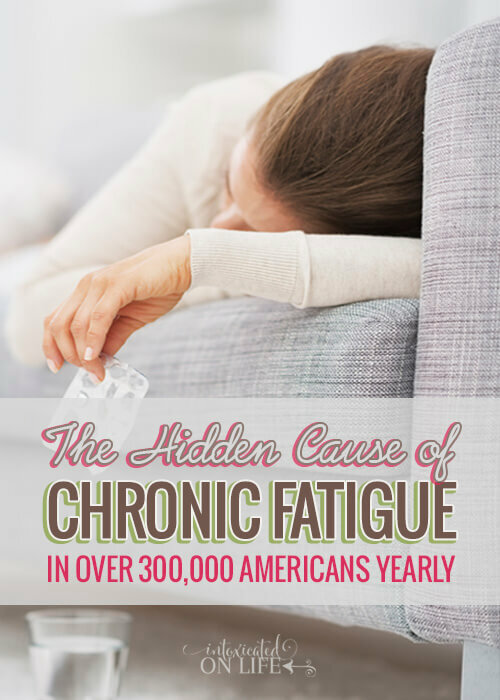 Of course, my “chronic fatigue” is caused by lyme, but that certainly isn’t the only underlying cause of chronic fatigue symptoms – there are certainly others. I’d encourage you to see an experienced Lyme Literate Medical Doctor – you can receive a referral from ILADS for a doctor near you. They will know the appropriate tests to run to screen for lyme. Praying that you are able to find some relief and answers soon! So glad you got some good information! We have a very dear friend who has been suffering with chronic lyme disease for years. He also had doctors telling him there was nothing wrong with him. He was even referred to a psychologist, because the doctor was insistent that it was all in his head! His wife was also recently diagnosed with lyme – because it is sexually transmissible. They are a fairly young couple, in their early thirties, and it’s heartbreaking to see them suffering so. And still the CDC insists that “chronic lyme disease” doesn’t exist! How can they deny the growing body of evidence to the contrary? Best wishes in your fight! Be well-informed and find a good lyme-literate doctor! I’m sorry to hear about your friends. It must be terribly difficult when both husband and wife are ill. I’m so thankful my husband is healthy. He’s been so wonderful about picking up the slack around our home and with our kids, particularly when mama is having a bad day. Trisha, what test did your doctor use? My husband pushed for my doctor to test me for Lyme, which he finally did, but I’m not confident the test he ordered was a good one. I knew about Lyme being passed within families, but for some reason blood transfusions never occurred to me — and I HAVE had a blood transfusion. My reading does suggest that transmission via mosquitoes and the like is not very likely. It has something to do with the life cycle of the borrelia bacterium and insects like mosquitoes not feeding for long enough. They can CARRY it, but apparently transmission is a lot less likely than with something like a tick that latches on. My Western Blot and ELISA done via Quest labs both came back negative. My doctor told me they likely would as they aren’t very sensitive tests, but he wanted to save me some money in case they did come back positive (insurance will pay for these). We ended up doing the Lyme and co-infections test through Immunosciences. Another test that is very well known for testing for lyme is Igenex. My doctor recommended the Immunosciences test though because he believes it’s a bit more sensitive than Igenex. I’m sure either would be a good option. Neither are covered by insurance unfortunately. When I read your previous post about chronic fatigue syndrome, and listed the symptoms, my first thought was Lyme! I have watched my brother have to deal with this debilitating disease over the last year – and it’s been heart-breaking. This is a father of 3, VERY busy PA for a cardio-thoracic surgical group, a guy who hikes by himself, does Tough Mudder races, surfs and more! I’m so sorry you are having to deal with it – but PTL that you found out a real diagnosis!!! 🙂 YAY! Praying all goes well with your treatments and healing!! Thank you so much for your well-wishes Lori! Yes, it is a debilitating disease. But it’s so nice to finally have HOPE that I can get better. Without a diagnosis I felt so hopeless and like I was going a little crazy too :). I know it’s a long journey to healing, but at least I’m headed in the right direction now. Praying your brother gets better quickly too! This happened to a friend of mine! She also lives in MI – same story, couldn’t figure out what was wrong. So glad you are getting help. 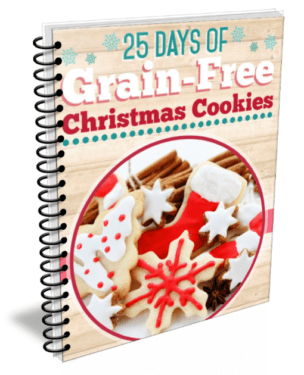 I can sorta relate – it took over 11 years for me to be diagnosed with Celiac Disease. Every doctor I went to (in three different states…) had a different opinion and no one could make sense of the “random” symptoms. Prayers for your health and those medical bills! This is so interesting! Thanks. I will be adding this to the things to check me for this week. I NEED answers, not another brush-off and to be told to lose weight–impossible when you feel this tired all the time. I hope you’re able to get a doctor to do the testing. It may or may not be what’s causing your problems, but it would certainly be a good idea to find out. I’d encourage you to find a lyme literate doctor in your area and visit them. Unfortunately, whether or not they will admit it, most physicians are not very knowledgeable about lyme disease. They will run the standard blood panel, which misses over 50% of the lyme cases and won’t do any further, more sensitive testing. I understand the weight gain too. Despite eating a pretty good diet, I gained 75 pounds in a matter of 9 months. My lyme doctor isn’t at all surprised and says it’s from the infections and inflammation the infection is causing – not to mention that lyme attacks the endocrine system as well which wrecks havoc on your metabolism. Praying you’re able to get to the bottom of your problems soon! This post hit me like a ton of bricks. For the last seven years, I have suffered from debilitating, chronic fatigue and a host of other symptoms (almost identical to yours). I haven’t been able to afford health insurance or doctor’s expenses out-of-pocket, so I have remained undiagnosed. I’ve done tons of research online to try and find what’s wrong, but Lyme Disease NEVER came up! I even have a cousin who has Lyme, yet it never occurred to me that this could be what is making me sick. I married a Canadian this year and moved up here. Canadians have free healthcare, which I do not yet qualify for. However, healthcare is still FAR less expensive here. After reading your post and your links, I made an appointment with my doctor. I’m going to press hard to find if it’s Lyme. Thankfully, the cousin of mine who has Lyme is also studying to be a doctor 🙂 He will be a great resource, I am sure! Thank you for this post. I feel like, for the first time in seven years, I may be on my way to an answer. I’m sorry to hear you’ve not had the opportunity to go to the doctor to get assistance in figuring out what is wrong. 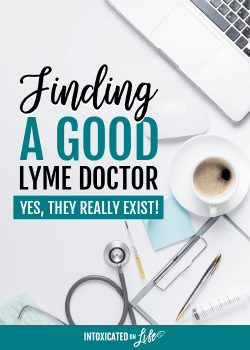 I hope that now that you’re able to find a doctor you can get to the bottom of what is causing your problems whether it is lyme or something else. I want to give you a heads up though, I did hear from a canadian friend, that Canada’s healthcare will not acknowledge or cover chronic-lyme. Meaning, if you’ve been sick for several years they’ll deny that there is any way it could be from lyme disease. Unfortunately, it seems that Canada is even more behind in this area than the US is :(. Either way, I hope you’re able to find some good relief. There are some good lyme facebook groups with some very helpful individuals who you can probably get more info on regarding finding a good doc in Canada. Thank you so much for this. I’ve got tears in my eyes right now! My 19 year old daughter has been sick for 2 years. She was a gymnast and had a bad neck injury preceeding the onset of her bad symptoms. A hospital told us she had anxiety and phsyciatric problems. This didn’t fit with her personality at all. We kept thinking all her symptoms were because of her injury. I occationally thought maybe something else was wrong, because why would the injury make her feet swell or give her night sweats. We just didn’t get any help from doctors. Chiropractic care has helped the most. She also requires an oxygen concentrator because she feels short of breath much of the time. She was a gymnast, runner, and personal trainer, and now has spells where she barely functions. She was tested for lyme at the hospital 2 years ago and it was negative. Thanks to your article, I now know that means nothing. She had a tick bite 3 years ago and now I can put together the sleeping difficulty, joint aches, fogginess and fatigue all before her injury. We thought it was just normal gymnast stuff. She has an appointment with a doctor that is lyme literate in a couple months. After reading your story I started researching more and am almost certain she has lyme. She took the quiz by Dr. Horowitz and scored very high. I feel like we are finally on the right track to getting her well. I am so thankful the Lord brought your story to me! I’m so, so sorry to hear about your daughter. It must be awful watching your child go through this pain. I’m glad you were able to find a doctor who is lyme literate. I’m not sure how much you know about testing, but I’d recommend reading a recent post I published on this topic here. Even if the doctor says he’s “lyme literate” it’s so important we arm ourselves with as much info as we can so we can be advocates for ourselves and our children! So sorry this happened to you! And, if you lived in New Hampshire, there would have been a good chance that you would have been diagnosed earlier. Small comfort, I know. We’re number 1 in the country for tick infections. Thank you for sharing the links, I’m sure they’ll be very helpful for some readers! It is unfortunate that many doctors still, erroneously believe that there lyme isn’t in Michigan. Hopefully more people will become aware that it really is EVERYWHERE and they’ll be able to get proper testing earlier when needed. Su r my son has lyme…what test shows it? Dr did a blood test that came back negative but he has all symptoms including bartenella coinfection. …..
Hi Wendy. I’m sorry to hear about your son. You might want to check out this post I wrote about testing for lyme disease. It may have some information you might be interested in. Thank you so much for sharing about Lyme! I was just diagnosed in May after decades of illness and 3 negative Lyme tests. Thank God I was seeing a LLMD who kept insisting I might have Lyme even though my tests were neg. After doing more research, I found Dr. Kevin Conners in MN who finally diagnosed me using a Rife machine and advanced kinesiology. I’m now using the Rife which is killing the Lyme but the die off reaction has made me even more ill. After showing Dr. Conners my genetic tests he realized that I have many methylation weaknesses that only 1% of the population has. We’ve had to stop everything and start over going much more slowly. I think it’s really important for everyone to do genetic testing, because it can really impact the type of treatment you can do. I did mine through 23andMe.com for $99. I was wondering if you were familiar with Rife technology? Sorry to hear it took so long for you to get your diagnosis. I pray one day more doctors will be educated and able to catch this disease earlier before it become a chronic condition. I know your post is a couple of years old, but I, too, found Dr. Connors via a web search and I am considering going to him about my ME/CFS. I am currently reading his downloadable books. What he says about Th-1 and Th-2 dominance is especially of interest to me, as problems with Th-1 and Th-2 being out of balance are common with ME/CFS patients. I also know that many people diagnosed with CFS actually have lyme or co-infections of lyme. I would like to ask you some questions about Dr. Connors, but not on this forum. Do you know if it is possible for me to share my email address with you privately, so I don’t get tons of spam by putting it here? I have been diagnosed with Chronic Fatigue long time ago. Several drs have disagreed with the one that diagnosed me with it. I do not agree with it either. I have to drink so much coffee to stay awake. I never considered lyme disease. I will keep it on my radar. Mine is not as bad as yours. I can still function and work while being tired. I have few days where I struggle keeping my eyes open. I just get up and work when I struggle with it. Not sure how to approach the dr to get tested as my symptoms are minor. Thank you for this article!! I have just started their vitamins and meal guide. You might find some very, very interesting information. Thank you. Lymes disease is difficult on its own but being aware of any possible mold toxins in your environment is critical to healing Lymes. Mold can hide in buildings and make people very sick. You can easily test for mold toxins with an ERMI test, purchased online. You can learn more about sickness from dangerous mold toxins, called CIRS, at survivingmold.com. CIRS also causes chronic fatigue. You can have both CIRS and Lymes disease at the same time.